FAITH. A seemingly small word, yet packed with so much power. Just mentioning FAITH can send some running for the hills to hide and others dropping to their knees to pray. My journey to faith has been down some long and winding roads. It was important to my parents that their children were raised in faith, so every Sunday we attended service at our family’s Lutheran church. Everyone was there… Aunts, Uncles, Cousins, Great Grandmother, and Grandparents; church attendance was a family affair. All religion really meant to me as a little girl was I had to look proper in a dress, hosiery and fancy shoes (all of which I despised) and sit with adults to quietly pay attention to a older man preaching a sermon that went over my head most times. Yes “back in my day” there wasn’t a children’s church. Once you reached a certain age you were kicked out of the nursery and forced to sit with your parents on hard wooden benches for an hour. Sad to admit… I was a Stepford Child of God. I had all the hymns, creeds, and prayers memorized at a very young age. Each Sunday like clockwork I knew when we were supposed sit and listen, when we were supposed to stand and pray, when we were supposed to recite creeds, and when we were supposed to sing. The Sunday service was choreographed and timed with great precision. This auto-pilot faith left me jaded. In college I questioned everything about FAITH. In my quest for answers I explored. First, I stopped regularly attending church, so I could deprogram my pre-conditioned faith. Then, I transferred to a private Catholic college. On my first day, I was appalled when the priest professor proclaimed that cheating was a sin and we would go to hell. Oh. My. What did I get myself into here? It wasn’t long, maybe a semester or two, and I transferred back to a state school. I found the separation of church and state comforting. At my new state school, a sorority sister was concerned for my soul when she discovered I had avoided church for years. She convinced me I needed to go one Sunday, so I reluctantly accompanied her to church. It was good to be formally walking in FAITH again, but I felt out of place, so after a few visits I had all sorts of reasons why I couldn’t join her. Soon my friend stopped inviting me. I’m guessing I was added to her prayer list. Years had passed and I was working at my first corporate job. One of my coworkers reached out because she too was worried by my lack of regular church attendance. After weeks of badgering I finally agreed to attend with her one Sunday. Much to my dismay she was a member of a church that believed in four hour services. What? In my experience, church was over in exactly 59 minutes and 59 seconds (remember, perfectly timed). I was lost in this marathon worship service. By the end of the four hours people were flopping around on the floor and speaking in tongues. I wasn’t sure if it was a result of their faith or simply after four hours they had lost their minds? Much to my coworker’s dismay, I never returned to her church. So based on these experiences I again retreated from church and continued my nightly prayers. During my hiatus, my grandmother called to express her concern. I remember telling her my faith was personal and private, that I need not attend a church to have a relationship with God and I assured her I prayed every night. As a God-fearing woman she was in no way comforted by my response and I have a feeling she increased her prayers for me. Looking down from heaven, Granny would be happy to know I’ve finally found a church that suits me perfectly. I may not attend every Sunday, but when I do I’m no longer a Stepford Child of God and the sermons are exactly what I need to hear. Today I pray on my walk into work, throughout the day, and end my day with a nightly prayer – just as I did as a child when my parents would tuck me in to bed. I’m thankful my parents started me out on this spiritual journey. 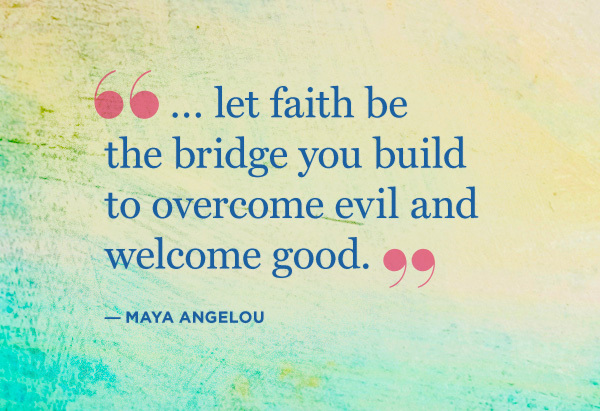 I’m grateful for all that I learned during my zig-zag path of discovery to find what faith means to me. I find after much exploration, I still question formalized religion and I whole-heartedly believe in a higher power. For me, that power is God. Walking in faith is different for everyone. No matter how I’ve questioned my faith… my faith in God has carried me through life. FAITH is what YOU make it. So glad you visited my blog. I decided to visit yours as well. I LOVE your “Heart” tree. Thanks for stopping by, Cherylz 🙂 If you love the heart tree… then you will LOVE the fact that I’ve found over 260 hearts in everyday normal things over the last year. Hearts are drawn to me I guess. Ha! It is amazing… food in the shape of a heart, moss, string, paper, feathers, and so much more all found in the shape of a heart. The pictures are AMAZING!! Spot on! There are so many others like you who have found their faith by being true to themselves. Ain’t that the truth? Thank you!! It definitely took me a while to find my way along my own spiritual path 🙂 xo!! Great post, I am new to faith, only turning to God back in March, due to my life falling apart because of my drinking, I’ve turned things around due to my new found faith and continue to walk with God and I strive everyday to work towards turning off my personal auto-pilot. Thanks, waynemali 🙂 Congrats on turning things around… Its not always easy!!! One of my favorite sayings, “Sometimes things need to fall apart to make way for better things.” Good luck on your journey!! Wonderful ! To Hear your Journey, I am writing one too and mine is little complicated to put together. 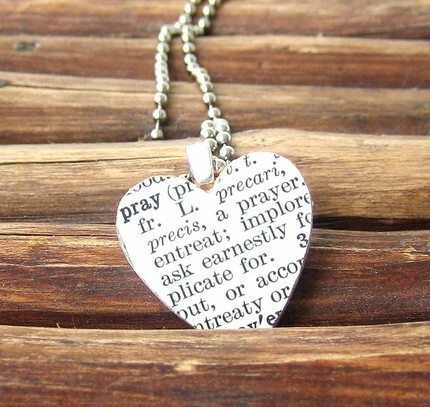 So I am taking my sweet time in prayer and will post soon. God Bless You ! Thank you for your encouragement Sweetie ! God Bless You with Love Joy and Peace ! Well said. Every person needs to find their own path…their own truth. Thanks, Bev 🙂 It took me a while… but I finally got there!!! 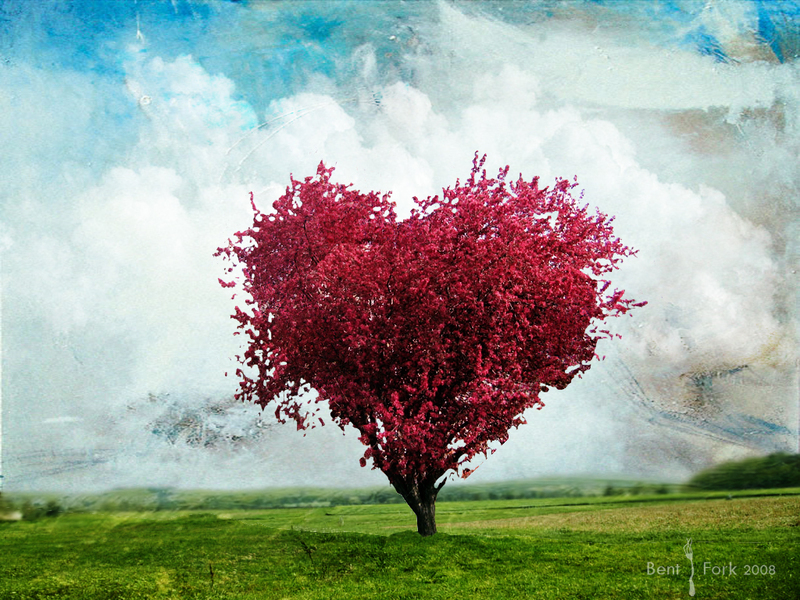 Very pretty – Association tree with heart shaped thank you for share IT FOR U.S. Very well written. I can relate. I walked a winding path that took me from a totally convinvced atheist, to an open-minded agnostic and finally to a direct experience of the Divine – which of course laid to rest my doubts and questions, lol! Thank you for your visit to my site. I decided to take a peek around yours as well. I don’t know you but I do know what faith is and I do know how hard finding truth can be. It takes courage to seek God…and it does take faith to believe. I know where you are on your walk now…and I am excited to see what God will do next. Now, in spite of being a stranger and potentially overstepping my welcome may I just say a couple things? First, the best reason to attend church that I have found is because as best as I can see from study of the Bible, God does not intend for us to be solitary Christians. We have so much to gain from being around fellow believers. The problem I think is finding a place where the truth of God’s word is being taught in a loving and awesome way, and where the faith is being lived out in a real and authentic way. I hope and pray that that is what your new church is like now! Thank you!! Yes, I’m very blessed and happy my current church provides all those things and more!! God Bless!!! Awesome post – I am divided on my desire for faith. I want it, but at the same time, if I wanted it so badly, all I would have to do is embrace it, right? Faith can be confusing journey… so I can totally dig it 🙂 Thanks… happy travels to you too!! Lovely! I enjoy your posts very much! Literally laughed out loud about the 4 hour service with people flopping around and speaking in tongues…awwhh memories lol. I too am forever grateful for the stepping stones that although I may not have desired to step on, have gotten me to this great places of here and now. Reminds me of a quote that reads… “There was a time when I obeyed God because I HAD to and a time when I obeyed Him because I thought I SHOULD, but now I love and obey Him because I WANT to.” Blessings to you! Awe, thank you so much Nu!! I’m so appreciative of your support!! Yes, we all have our own steps to take 😉 And let me assure you I was NOT laughing during the 4-hour service **frown** but I can certainly laugh about it now!! LOL!! xo!! This post for me really hit a soft spot there. I went through a similar experience sort of exploring my own faith. I was looking to find a way that I knew how to best define “my faith” in my own life without anyone telling me exactly what that should be. I can’t say that I am 100% there in knowing all the answers to my questions but I am at peace I know that faith is what gets me through every single day of my life. Love this post! Oh, I’m so happy it resonated with you!! Thank you so much for your kind comment 🙂 I’m not sure anyone is 100%… yet! Hey, thank you for visiting my blog and liking my post. Pl do visit again! Well written article. Bless you! THANK YOU!! Your poetry is AWESOME!! Keep writing!! Thank you for visiting Minkyweasel World. Yes, Shirley Anne… INDEED I have… baptized and all 😉 xo!! God bless you and yours too!!! It always makes me happy to see when you’ve returned to Candy Coated Reality!! Thank you!! Shirley Anne is right. Jesus said there is only ONE way to God and Jesus is the only one. Allah, Buddah, etc. are not correct. They cannot all be right. Only faith in Jesus is saving faith. Your story resonated with me. Sometimes I feel “bad” for not embracing a church (although I believe in God). While I am still traversing this spiritual journey and trying to make sense of life, it’s great to read that I am not alone and should not feel guilty. Thanks for not withholding on what can be considered a touchy subject. Thank you!! You’re definitely not alone 😉 Keep searching… keep walking your path… you will find what you’re looking for… timing is everything!! Thanks, Dave!! I’m happy you found Candy Coated Reality too! !